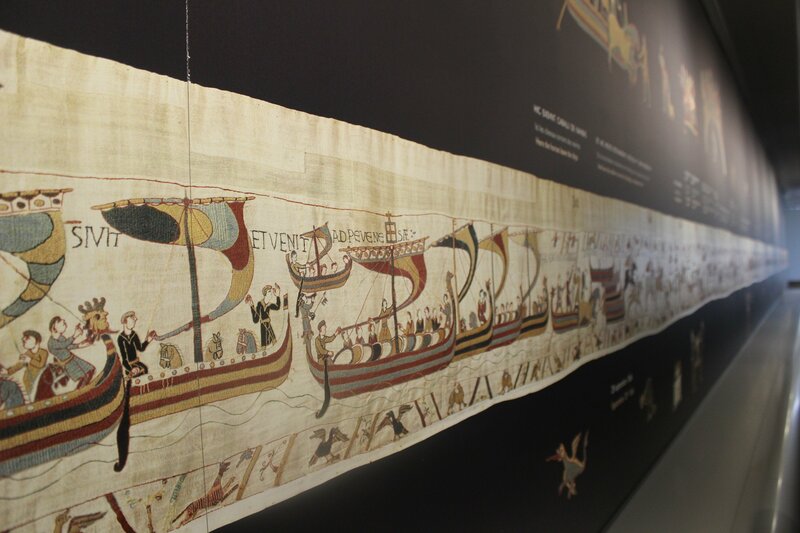 For tourists visiting the Bayeux tapestry, this guide gives you all the information you need. It is most definitely worth a visit and should be on your Bayeux bucket list. It's probably what visitors associate the most with Bayeux. The tapestry is, in fact, an embroidery completed in the 1070s. The detail of the stitching is so intricate. There are 58 embroidery panels in total and they're joined together to tell a story. They show the events that led to the Norman conquest of England. 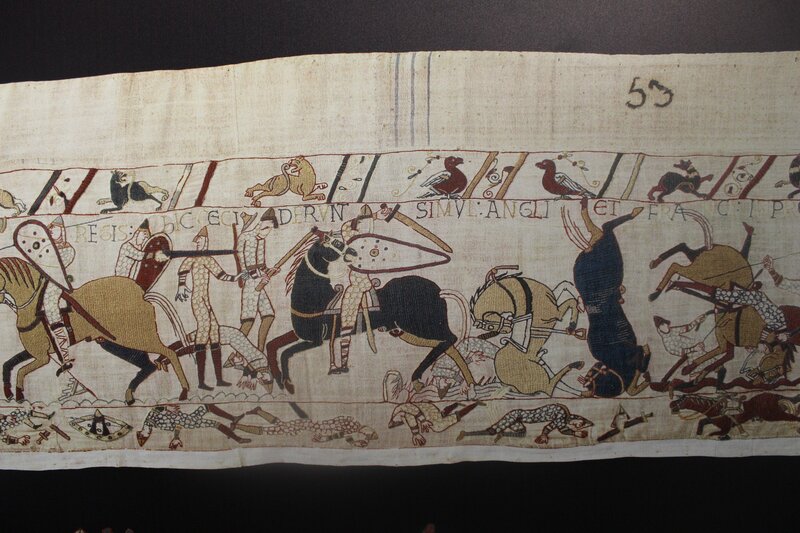 The final panels depict the Battle of Hastings in 1066 where Harold who was the King of England, was shot in the eye with an arrow. 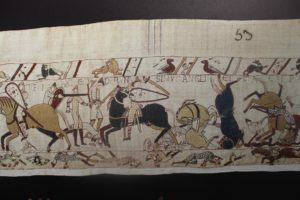 You can read more about my visit to the Bayeux tapestry here. I've included lots of photos and practical information.